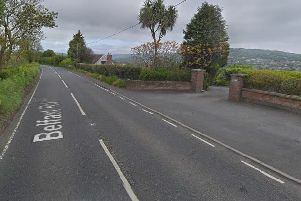 Detectives investigating a security alert in Omagh at the weekend are appealing to anyone who was in the Drumragh Road area on Saturday night and saw any suspicious activity to contact them - in particular anyone who may have Dash Cam footage. The appeal comes after police confirmed a viable pipe bomb type device was found in Omagh on Remembrance Sunday. It has been taken away for further forensic examination. Detective Inspector Trevor Stevenson said: “We know this area of Omagh is popular on a Saturday night. We are appealing to any drivers who were in the area on Saturday night and have Dash Cam footage, to examine it and see if they have captured any suspicious activity. "No matter how small you think it may be, if you think it looks suspicious - or out of the ordinary - please notify police immediately because it could prove significant.